Release 55 is our third release since launching out of Early Access. As promised, we are continuing our cadence of monthly releases, just as before. 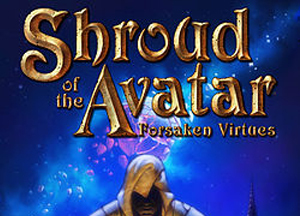 Release 55 of Shroud of the Avatar goes live this Thursday, June 28, at 10:30 AM US Central Daylight Time (15:30 UTC). Release 55 is the third, and final, release in which we focused on the current iteration of our Top 10 Priorities (from Q2 2018 post). 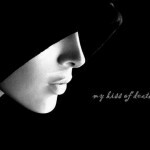 We were able to address most of the items on that list in some fashion. We made strong progress on performance, physical goods, improved reward cycle, user interface polish, player direction and story polish. 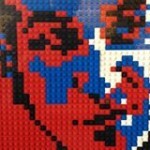 We will be spending more time on enemy behaviors and repeatable content in the next release and in Q3. New Reward for Story Completion (SPOILER): All Avatars who complete the entire story will receive a Player-Owned Town Row Lot Deed (Taxed) from the Oracle! This means completing the Paths of Truth, Love, Courage, and the Path of the Oracle. This will be retroactive, so anyone who has already completed the story will merely need to revisit the Oracle to receive their lot deed. Brewing: Avatars can now harness the process of fermentation to create alcoholic beverages. Using existing ingredients (wheat, sugar, water, red grapes, etc. 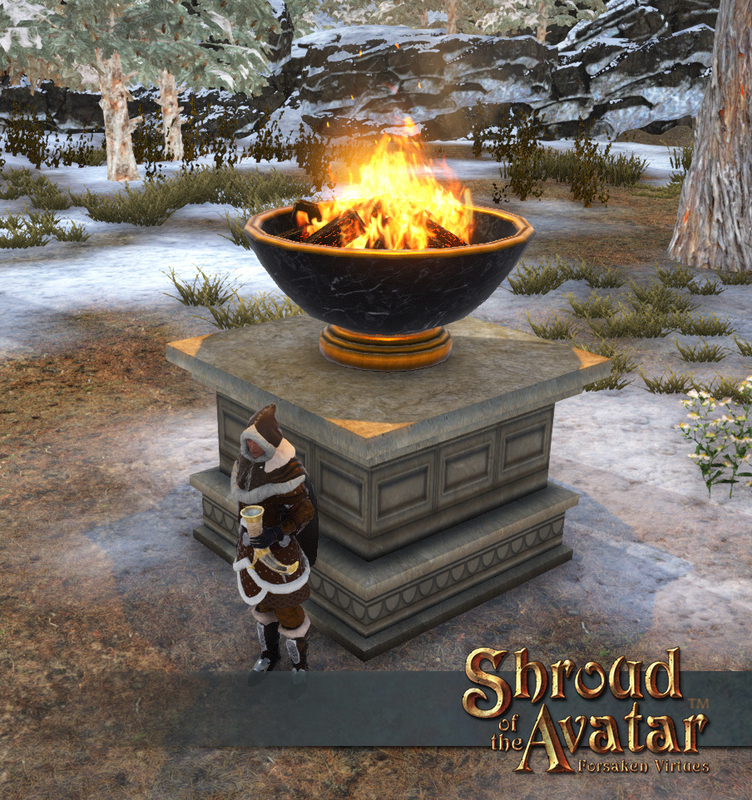 ), as well as some new additions (hops, barley, and white grapes), avatars can use cooking stations to create casks that then need time to ferment. Once they have aged the appropriate amount of time, the casks can be opened and you can retrieve goblets of wine, mugs of beer, or cups of whiskey. User Interface Polish: We have done a complete art overhaul of the user interface background and border art. We have replaced the gold borders with a more neutral stone and are in the process of removing as many borders as possible. The chat and inventory windows are in the most final state with no outer border at all, and all other interface windows will eventually look that way as well. New and Polished Scenes: In Release 55, we rebuilt two more adventure scenes: East Vauban Foothills and Norgard Fens. We also created a new PvP scene called the Obsidian Trial that is helping us test systems and content for Castle Defense Scenarios. 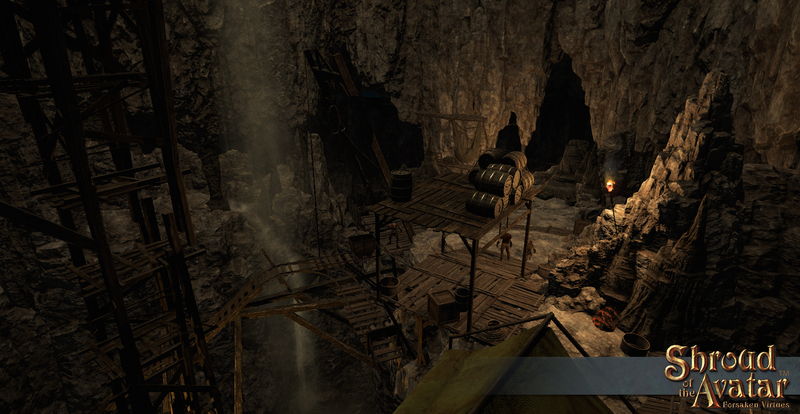 Additionally, we continued increasing the Tier difficulty of scenes across Novia and the Hidden Vale. New Enemies: We added a whole menagerie of new enemies to Novia in Release 55, including Light & Dark Unicorns, Child Zombies, Ebon Dawn Cultists, Swamp Reapers and the Atavists of Purity! Also, remember that while we are providing new content with each release, our community is also working overtime to make new events for you to enjoy. Be sure to check the schedule for player-run events (via the player-run website: NBNN Community Calendar). You can also get the latest official events on the Main Website. Without further ado, here is a list of what you can expect to see in Release 55. Plain Text: The original plan for the Release deliverables from the Q2 2018 Schedule Update. We intentionally preserve the original text so that our backers can compare plan versus actuals. Story: We will continue to work on adding side quests and polish to the Paths of Truth, Love, and Courage. 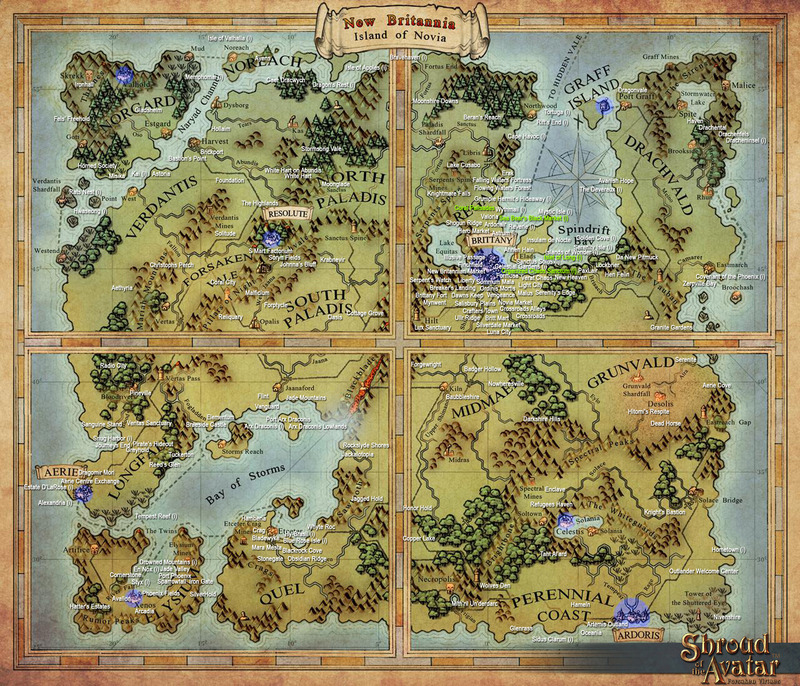 We’ll continue to add and update maps for the in-game map system. We will also add backer NPC conversations to Brittany Alleys. Finally, the scenes Norgard Fens, Bramble (town), and East Vauban Foothills will be rebuilt from scratch. New Reward for Story Completion (SPOILER): We know that, although it is not a required component of the Shroud of the Avatar experience, property ownership is a very compelling experience. It is so compelling, that we want all players to have a clear path towards that goal. We already have the deed raffle, and deeds that drop as loot, but those are random chances versus certainties. Several members of our community suggested we reward property for a significant achievement in the game. 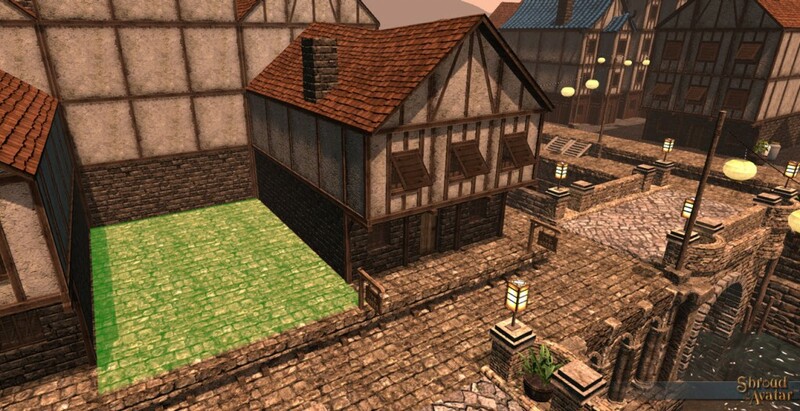 We really love that idea so, starting with Release 55, all Avatars who complete the entire story will receive a Player-Owned Town Row Lot Deed (Taxed) from the Oracle! This means completing the Paths of Truth, Love, Courage, and the Path of the Oracle. This will be retroactive, so anyone who has already completed the story will merely need to revisit the Oracle to receive their lot deed (NOTE: Please see Arabella in the Oracle Temple in Central Brittany first, then talk to any Oracle access point but not the actual Oracle herself). This lot deed will not be tradeable between players and there will be a limit of one lot deed per account (i.e. you will not be able to earn one for each character you have). The no-trade and account limit are to prevent farming. Note that in Offline Mode this lot deed can be used anywhere, not just in Player-Owned Towns! As a reminder for those concerned about taxes: the Oracle provides 500 gold per day for consulting with her, which is twice the amount of taxes owed for a Row Lot per day. Keyword Ordering: We fixed a major issue that was causing keywords to appear in random/incorrect orders. They should now appear in a logical and consistent order. Tier Upgrades: We have adjusted the challenge in several scenes as part of a longer term effort where we are increasing the difficulty of many scenes to better match the surrounding scenes and the character’s progress along the associated story paths that bring you near those scenes. Middle Downs: Updated scene from Tier 1 to Tier 2. East Perennial Trail: Updated scene from Tier 1 to Tier 2. East Longfall Wetland: Updated scene from Tier 1 to Tier 3. Hallowed Plains: Updated scene from Tier 2 to Tier 4. Roving Encounters: These are now properly labeled as 3+ to indicate the escalating difficulty of the wave encounters we added in Release 54. Ravensmoor: Updated scene from Tier 3 to Tier 8+ including adjustments to the boss encounter with the troll Torc’Dawl. Note this is the entrance map to the Ruins of Ravensmoor which was upgraded in R54. Wynton’s Folly: Updated scene from Tier 3 to 6+. Ulfheim: Updated scene from Tier 5 to Tier 8+. Scene Rebuilds: The following scenes were previously clones of other adventure scenes but were completely rebuilt for this release. Norgard Fens: This marsh on the southern tip of Norgard was previously a Tier 3 area but has been upgraded to a Tier 5 area for Release 55. The increase in difficulty of this scene is part of a longer term effort where we will be increasing the difficulty of many scenes to better match the surrounding scenes and the character’s progress along the associated story paths that bring you near those scenes. Mushroom creatures and Reapers roam this marsh and have defeated any attempts to harvest the abundant natural resources of the area. Even the industrious Kobolds who have recently been trying to build a foothold here have been meeting with defeat at nature’s marshy hands. East Vauban Foothills: This hilly area is northeast of Vauban pass in the Drachvald region. It was previously a Tier 3 area but has been upgraded to a Tier 5 area for Release 55. The increase in difficulty of this scene is part of a longer term effort where we will be increasing the difficulty of many scenes to better match the surrounding scenes and the character’s progress along the associated story paths that bring you near those scenes. A lakeside village is overrun by zombies…which seem to be trying to continue living their pre-death lives! Ebon Dawn cultists are often nearby, taking advantage of the recently-dead and all associated chaos. Geisterseelen Liebe: In the quaint, little pub in Resolute, players will find Whiteguard Mahrs enjoying a room-temperature brew across from Brigid. Speak to him and you’ll discover that there is an artifact within the Broken Echoes Silver Mine of mysterious, and possibly dangerous power, called the Geisterseelen. Could this be the artifact that controls the geists that have befallen Highvale Outskirts? That’s what Whiteguard Mahrs wants you to find out, by retrieving the artifact and giving it to him. However, there’s a catch! In order to gain access to where the Geisterseelen is kept, you must agree to do a task for an Orator that is in front of the mine’s entrance. The Orator literally holds the key—the combined, mysterious essences an avatar retrieved for the Orator in Soltown Sewers (perhaps YOU were that avatar!). Upon successfully retrieving the Geisterseelen, you must choose who to give it to—Whiteguard Mahrs or the Skull Orator. Choose wisely, since it may influence future interactions… and possible ambushes. Ruins of Ravensmoor: A lowly magician’s apprentice has somehow made his way into the Ruins of Ravensmoor but is afraid to venture further. Will you take over his task, go deeper into the catacombs, and find an incredibly dangerous lich named High Inquisitor Roedberk? Liliana’s Painting & Quentin’s Report: We polished these Solace Bridge Outskirts quests to make them more reliable and easier to understand. Nighttime Brightness: In order to improve the overall experience of the game we have made it less dark at night while preserving the color scheme of nighttime. Underground areas remain the same darkness levels as before. Time Adjustments: The start times for the time periods that make up each in-game day have been adjusted to better match the skydome lighting. Emote Tutorial Popup: The first time a user learns an emote (for instance one of the formal Truth, Love, or Courage salutes in the Outskirts) we now provide an instructional pop up.”You’ve learned an emote! This is an animation that your character will perform. Anyone around you will see it as well. You can perform an emote via double clicking it in your list of emotes (available from the “O” key). 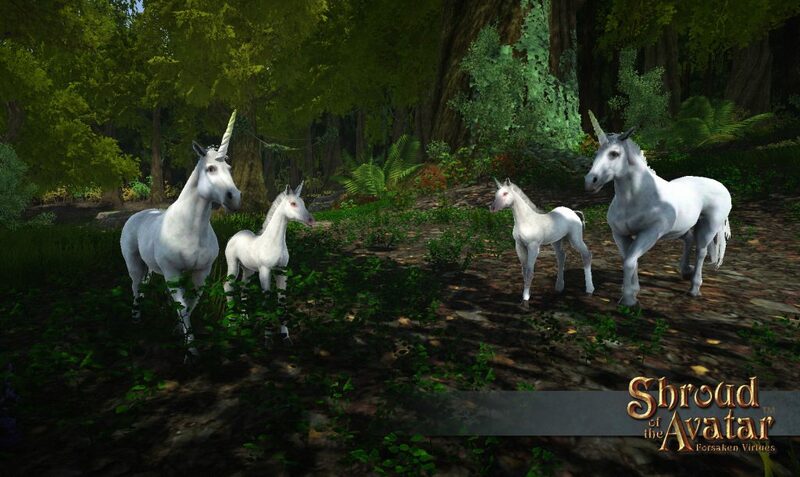 Random Encounters with Stags…now with Unicorns? 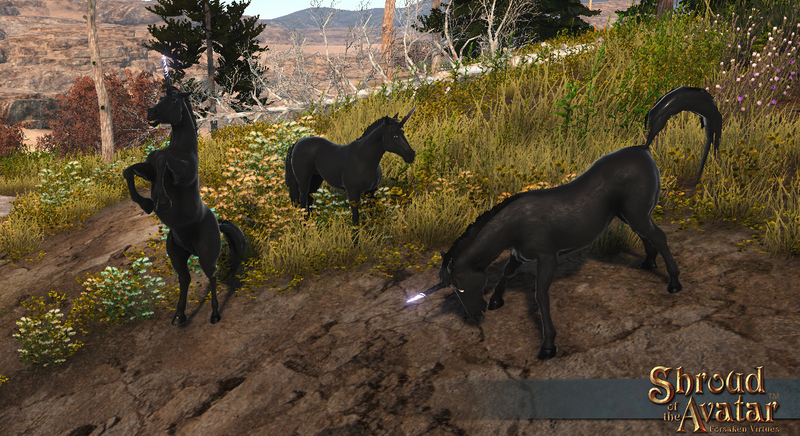 : A rare few stags encounters will also include Unicorns! Keep an eye out for a small family of Light Unicorns or Dark Unicorns that may be found on the edge of such scenes. Random Encounters — Messaging: When the high-threat enemies of a “boss wave” begin appearing, a message will alert players that this is occuring. Also, “boss waves” with multiple enemies will now have a small delay between when high-threat enemies spawn into the scene. Plains Encounters, Plains Road Encounters, Hills Encounters: A “herding dog encounter” may now send you into an encounter with a herd of horses (similar to the current cow and sheep herds). Desert Encounter: The Atavists of Purity have sworn to rid Novia of the Outlander immigrant infection. The Luminous Atavis and his lieutenants, the Knight Purifiers, have begun ambushing unwary Outlanders in the Grunvald desert. See the Character section below for more information about the Atavists. North Naryad Pinelands: The barbarians in their camp now sometimes dance a special dance near their campfire. “Helpful Guide to Agriculture”: This book instructs on how to grow and harvest crops. It can be purchased in-game from Cooking Merchants, Book Merchants, and at Farmer Market Stalls. Bramble Delayed: We chose to focus work on the Obsidian Trial map and delay work on Bramble. 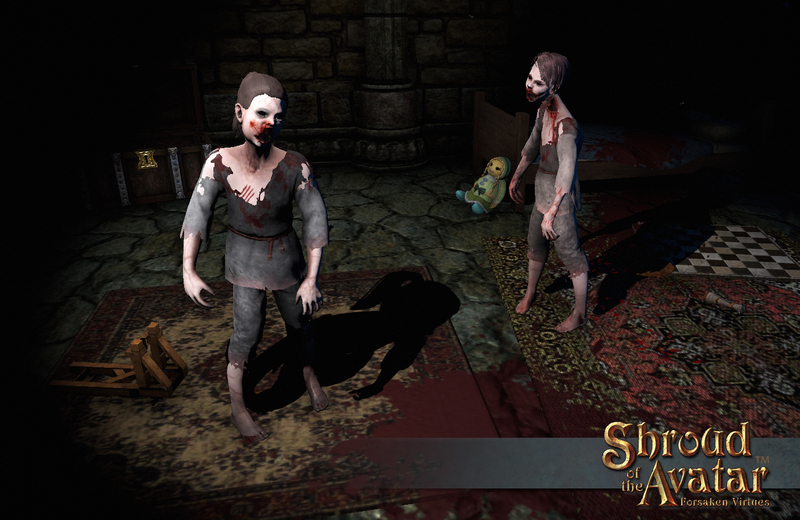 Brittany Alleys NPCs Delayed: We chose to focus work on adding the Lot Deed to the finish of the storyline and we wanted to wait to see if more backers responded to the NPC request before implementing these (only 20 responses were received out of a possible 80+ NPCs). Load Time Performance: Work was done to reduce idle time during load. This will show only a minor improvement this release. We expect to complete this work next release and reduce load times by roughly 4 seconds average for low ping time American customers and as much as 10 seconds for those with longer ping times in other countries. POT NPCs: We have moved the POT NPCs to be the same type of NPC as player vendors. This should improve performance in POTs since these NPC types do not have to pathfind but will still perform animations and bark text. Trial Account Inactivity Resets: Trial accounts will now reset after 3 months of complete inactivity. This will save space in the database and will free up character names that other players might want access to. Map Polish Work: Blood River Outskirts and Hilt both received some scene specific performance work. For Hilt this has more than doubled the performance for most players. Physical Goods: Physical goods including the cloth map, box, trinket, manual, lot deeds, etc. (and the signed versions of each) will ship. Map Signing: Richard signed all of the maps (and streamed it via Twitch) and those maps are now arriving at the manufacturer for final assembly in the boxes. Final Assembly: Final assembly of all the physical goods has begun and shipping will begin within the next week. Crafting & Economy: We will continue to add more loot to the game. We will also work on improving the controls for player vendors to better allow sharing of vendors as well as improving the entire stocking, restocking, pricing, and repricing experience. Brewing: Avatars can now harness the process of fermentation to create alcoholic beverages. Using existing ingredients (wheat, sugar, water, red grapes, etc. 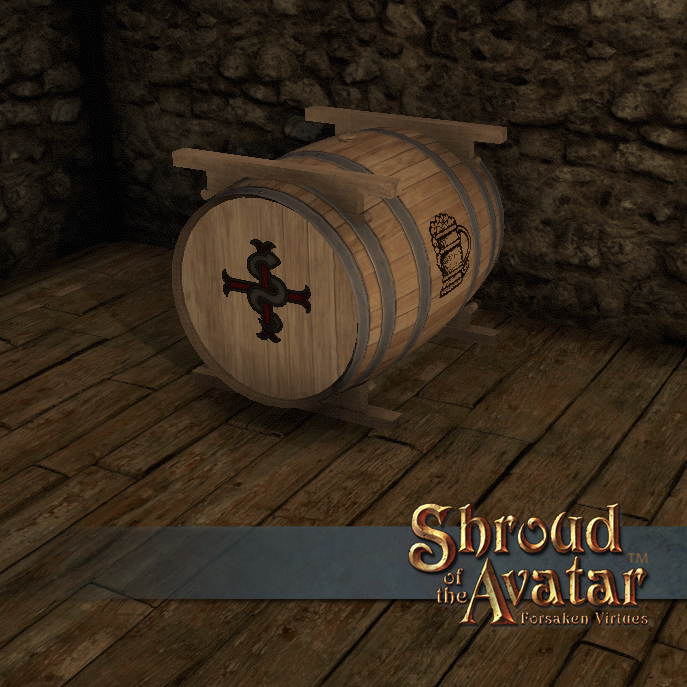 ), as well as some new additions (hops, barley, and white grapes), avatars can use cooking stations to create casks that then need time to ferment. Once they have aged the appropriate amount of time, the casks can be opened and you can retrieve goblets of wine, mugs of beer, or cups of whiskey. 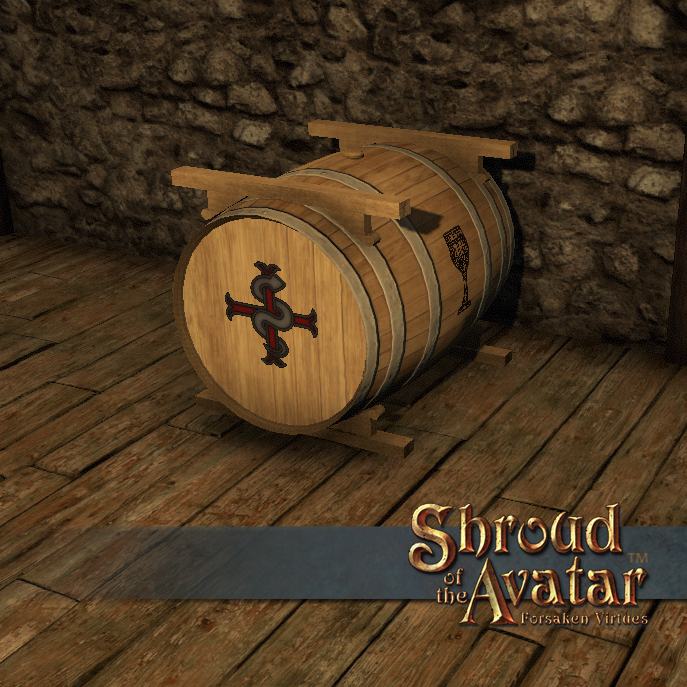 In Release 55 avatars can create red wine, white wine, four kinds of beer, and three ages of whiskey. We have started with non-magical brews and vintages but in future releases you might find more exotic varietals and spirits that have potent properties. Hops, Barley, White Grapes: We have added three new crops to agriculture to support brewing. The seeds for these can be found on Market Stall Merchants in most towns. Merchant & Drink Adjustments for Brewing: As part of brewing we have made a few changes to drinks, drink containers, and merchant inventories. We have separated consumable drinks from equippable mugs. This means you can still equip an item that looks like a drink but it will no longer have anything in it. For instance a Mug of Ale will now be an actual consumable like food versus a Mug which you can equip and display. Merchants now sell both equippable/deco mugs and “cheap alcohol” that is shorter in duration than crafted alcohol. Arrow Recipe Balance: We have balanced crafting arrows so they are more economical than purchasing them from merchants. To do this we have added a new recipe that allows you to make arrowheads from scrap, changed the existing arrowhead recipe to produce more arrowheads, and changed the arrows recipe to use less feathers. Loot Values (Bone Armor & Artifact Instruments): We adjusted the loot values for Bone Armor and Artifact Instruments so they will show up properly in loot rolling and ransoms. Vendor Polish Delayed: Work on brewing and replacing all of the UI art (see UI polish below) caused vendor polish to be delayed. User Interface Polish: Various elements of the UI will get polished for usability as well as improvements to information displayed with a focus on the quest journal. User Interface Art Polish: We have done a complete art overhaul of the user interface background and border art. We have replaced the gold borders with a more neutral stone and are in the process of removing as many borders as possible. The chat window and inventory window are in the most final state with no outer border at all and all other interface windows will eventually look that way as well. In-game Mail Polish: Mail can now be multi-selected for mass take-all and discard operations. Additionally discarded mail is now logged to a file (in a directory parallel to the one that contains chat logs). The discarded mail logs will include the dates that the mail was sent and discarded, the names of the sender and addressee, the subject text, the items contained in the mail, and the text of any notifications about Vendor transactions. These logs are handy for those who like to keep these generated receipts for their records. Receipts can now be easily kept in the log file rather than cluttering the mailbox. “Always Roll” for Loot: We added an option to “always roll” in the party loot rules so players would not have to click the roll button in the middle of combat. “This body is being looted” message: When two people in the same party try to loot the same corpse at the exact same time they get the “This body is being looted message.” Previously this was an interface that had to be dismissed which was problematic during combat. Now this is a pop-up hint that fades away automatically. House Icons: Resized row house icons will be standardized and added a few missing house icons. Edit Mode: When putting the map into Edit Mode on the website, it will now automatically hide the lot layer as to not interfere with the ability to click on Houses/POIs. Lot Icons: Maps that have largely different scales now automatically scale their Lot icons (e.g. Yew and Northwood). Lot Automation: Fixed lot automation in Celestis, Solania and Noreach. POTs: Updated all POT changes from R54. Ruins of Ravensmoor & Ruined Keep: Increased the scale of these maps. Demig’s & Ferig’s Battlecamps: New maps. Social Notes Fix: Fixed an issue where the submit button on the Notes section of the Social UI was always appearing greyed out. Quest Journal Polish Delayed: Work on brewing and replacing all of the UI art (see UI polish below) caused quest journal polish to be delayed. Castle Defense Scenarios: New scenes will be created similar to our control points where groups of players can fight over control of a fortress in order to gain temporary ownership and therefore gain benefits from that ownership like access to special areas, merchants, and quest givers. Work on this system will also help improve the existing control points. 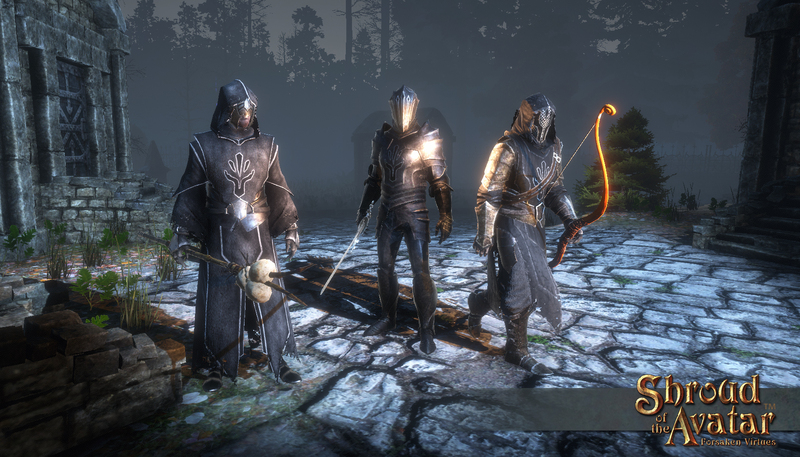 The Obsidian Trial: We are polishing various aspects of our combat and PvP systems in preparation for the upcoming Castle Defense Scenarios feature. This includes making areas of PvP engagement where no ransom items drop, where grouping rules can be controlled (on/off), having death remove you from the scene until the scene restarts, new currencies/merchants/rewards for PvP scenarios, and better overall physical spaces for PvP. 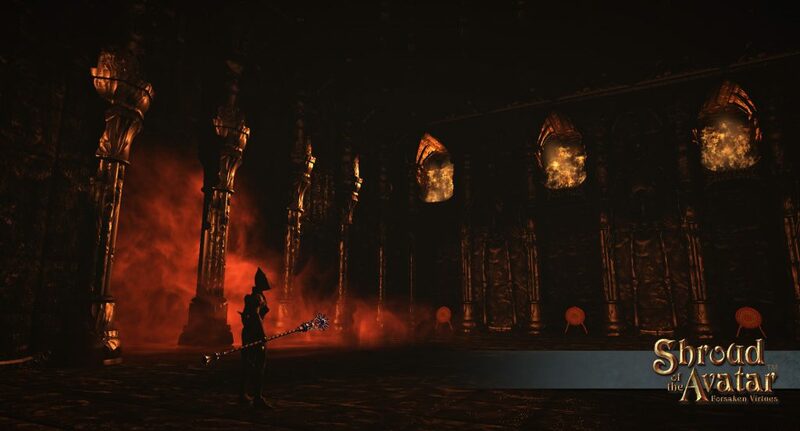 To that end, we have created a combat area called The Obsidian Trial, in which we can iterate on these systems over the next several releases. This scene is where we will implement, test, and polish various systems related to combat and PvP so that they can later be expanded to support Castle Defense Scenarios. In Release 55, we have built the space and implemented new death mechanics, blocked grouping, and removed ransoms. In the next few releases, we will be adding boundaries that change the size of the play space, win/loss conditions, timer resets, and a new currency that can be spent on rewards like titles, components, consumables, emotes, and patterns. Castle Defense Scenarios Delayed: When we sat down to design and implement this system, we realized that there were underlying systems that needed to be developed and tested first. We created the Obsidian Trial map for that purpose. Character: Polish passes will be made on the Spiders and new seasonal enemies will be introduced: The Jingo! Atavists of Purity. The Atavists of Purity: Some residents of Novia are not pleased with the sudden and voluminous influx of Outlander immigrants. The Atavists of Purity have vowed to rid Novia of the Outlander scourge. “Their houses crowd our fair towns! Their wares compete with those of native Novian merchants!” yells their leader, the Luminous Atavist. He and his lieutenants, the Knight Purifiers, have been known to ambush unwary Outlanders on the road. They are even swelling their ranks with common folks who call themselves Unifiers. NOTE: We were originally going to name these enemies “The Jingo” but chose these names instead. Light and Dark Unicorns: Unicorns are some of the most powerful and rare creatures in all of Novia. The difficulty in locating them is only exceeded in the challenge of trying to defeat them. Beware, however, for there are consequences beyond death to fighting these beasts for it is said there may be costs to your very virtue! If you are willing to pay that price however powerful and rare items can be made including potions, weapons and trophies. Ebon Dawn Cultists: The Ebon Dawn Cultists are modern Novian worshipers of the historic Obsidian Order. They seek to restore the ancient power of the Obsidians and work with the Obsidian Cabalists and even the Undead. Until now, these enemies have been using the same art as bandits. 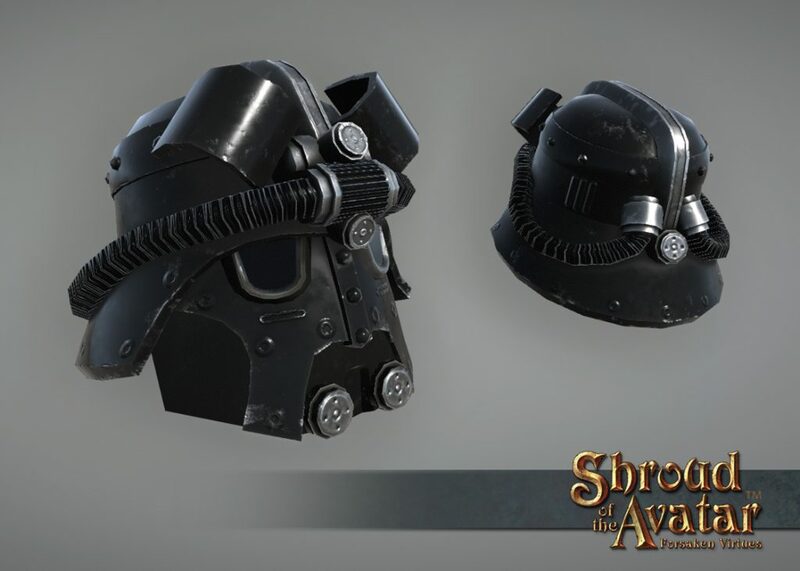 In Release 55, they have gotten their own art based on the Obsidian Order armor we created for the Release 52 Livestream stretch goals, although these versions are darker in color and more worn in appearance. Child Zombies: When the undead rise, the young will rise along with the old. While they might not have the reach of an adult zombie, they make up for it in stealthiness and in making you hesitate before you strike, a hesitation that might cost you your life!. Zombie Children begin appearing with Release 55, in House on the Hill, Solace Bridge Outskirts, Desolate Hills, Upper Tears, and Tenebris Harbor. Swamp Reaper: In Release 46, we added the powerful ancient tree creature known as the Reaper. This powerful ancient tree creature is the living embodiment of the forest and will devastate anyone who dares to exploit the resources of nature. When at rest, they appear just as a normal tree but when aroused they will attack with a variety of powerful attacks, including a swarm of roots that captures everyone standing still around the Reaper, vicious swipes of his branch claws, tearing bites with his amber teeth, and a blinding spray of leaves that makes it hard to hit anything. In Release 55, we have added a new type of Reaper, known as the Swamp Reaper, whose tree type matches the trees found in our swamp and marsh maps. NOTE: For now you can only find this variant in the Norgard Fens map. 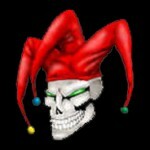 Outlander Skeleton Polish: The skeletons left behind when avatars die have been given a polish pass. Unicorn Masks: Have you always wanted to pretend to be a unicorn person? Of course you have! 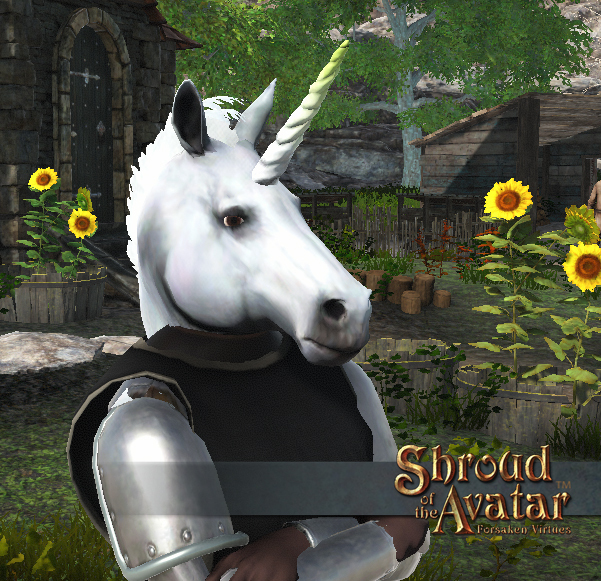 Well now you can by purchasing a light or dark unicorn mask from the Add-On Store! /jazzhands: Maturing dancer Beatrice Angelica continues to practice her dancing in her studio in Westend. She is happy to talk to outlanders and show them her original “Jazzhands” dance technique. Cloth Fixes: We have finally made fixes to the cloth simulation that will address the dreaded cloaks sorting through bodies, dresses breaking when sitting, and other various cloth simulation issues. Pipe Fix: We fixed an issue where pipes were showing in your hand during combat. Lute Fix: We fixed an issue where notes were looping incorrectly mid-song. Piano Fix: We fixed an issue where equipped items like mugs, pipes, etc. would remain visible when you played a piano when viewed by another player. Spider Polish Delayed: We chose to focus on new creature creation (Unicorns, Ebon Dawn, Atavists, Child Zombies) and therefore polishing the spiders has been delayed. Localization: All interface text and quest dialogue will be fully translated into our launch languages, including English, French, German, Russian, Spanish, Portuguese, and Italian. Localization Delayed: Due to some illnesses in staff there has been a significant delay in localization. However we are back up to speed and things should now be progressing quickly again. We hope to have the game fully translated by the end of Q3. Row Lot Property Tax Reduction: We have always stated that we would analyze gold earning rates and balance our property tax rates against those. Based on the current average earn rate for gold we have decided to halve the current property tax rates on taxed Row Lot deeds. 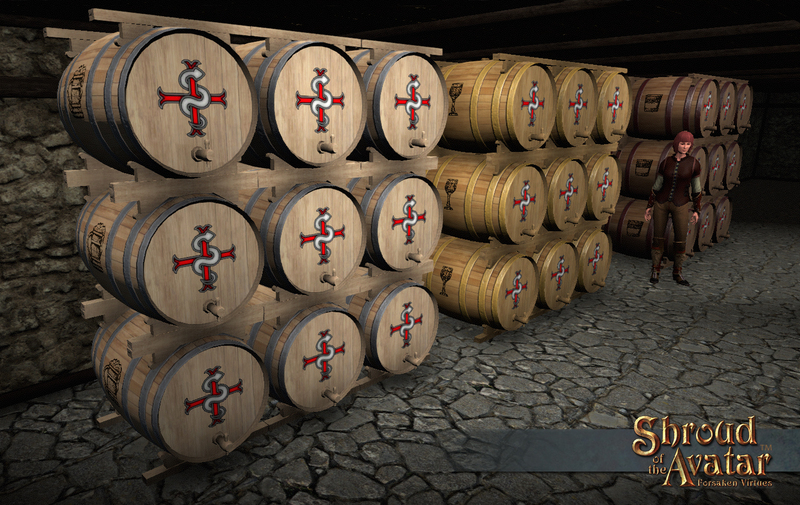 Beer, Wine, & Spirits Casks (craftable): Creating alcohol involves placing the ingredients in specific casks. Each cask is a specific color of wood and has a symbol on the side depicting the type of alcohol inside (beer, wine, or spirits). The recipes for these casks can be found on Decoration Merchants in Midmaer and Brittany. Greenhouse 4-story Storefront Row Home: In Release 54, we added two new Storefront Row Homes (2-story and 4-story). They have windows that make up the entire front wall of the first floor (as well as the second floor of the 4-story version) and are completely open on the first floor, leaving plenty of room for counters, shopkeepers and displays. 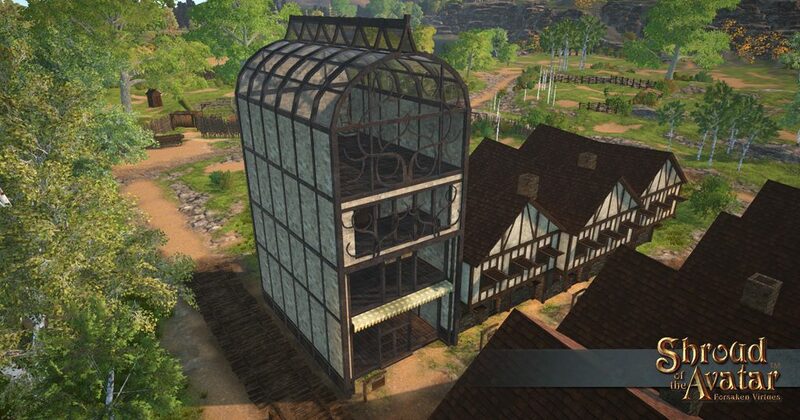 In Release 55, we have added a third version which adds a greenhouse to the top floor! You can purchase the Greenhouse 4-story Storefront Row Home in the Add-On Store. Ornate Elven Furniture: We have created an entire suite of Ornate Elven furniture to furnish your Elven homes while you make cookies! You can find these lovely pieces in the Add-On Store. In a future release we will be adding recipes for craftable in-game versions of these as well. 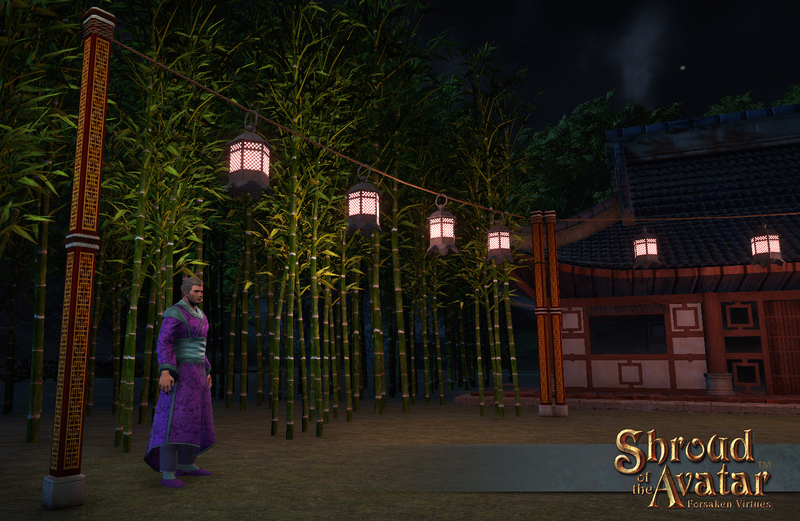 Ornate Shogun Light String: Players have been commenting on the beauty of the paper lantern light strings in the various maps along the Perennial Coast and wishing they could decorate with them! Well now they can by visiting the Add-On Store. We have also created an in-game craftable version which will go live as a recipe in a future release. 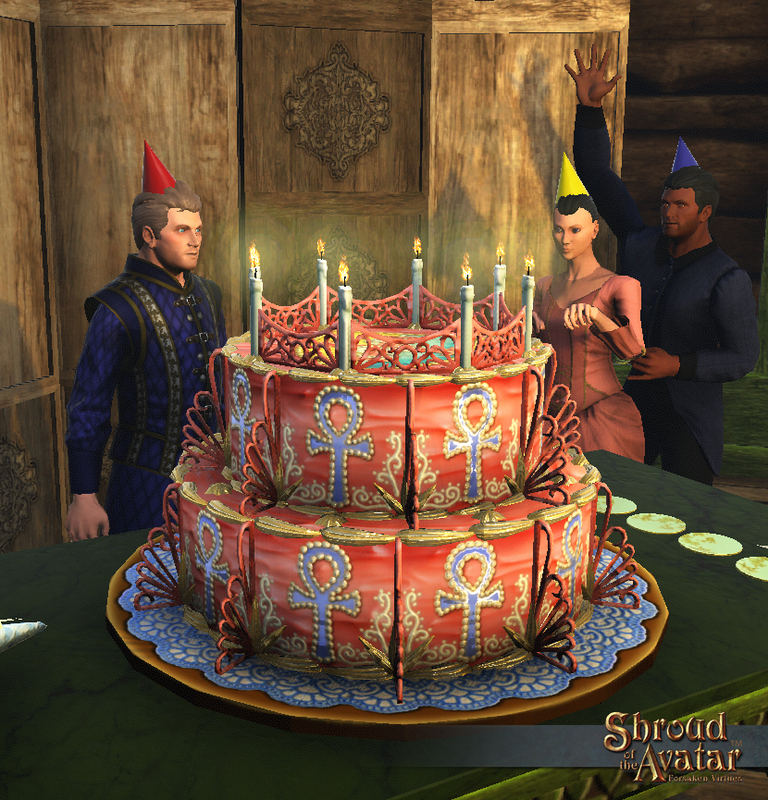 2018 Lord British Birthday Cake: Our very own Lord British was born on July fourth! And to celebrate, each year we make him a unique cake that periodically produces items (like the cornucopia) including fireworks (red, white, and blue), potions, and Ankh Cakes (a cupcake with an ankh symbol). NOTE: this is a revised item list and we have retroactively added it to all the previous Lord British cakes! You can get this year’s version from our Add-On Store. Note that this rare item is only available for a very limited time, as it will expire on July 6! Heraldry Cask Patterns: Our brewing system requires casks and those casks will be sitting fermenting in your home, tavern, basement, etc. for a bit of time. Of course you will want to show off your heraldry on those casks, correct? Well now you can with the Heraldry Cask Patterns in our Add-On Store. Ornate Elysian Braziers: Originally seen in Xenos and nearby scenes these beautiful greco-roman inspired light sources come in two sizes and can be found in our Add-On Store. 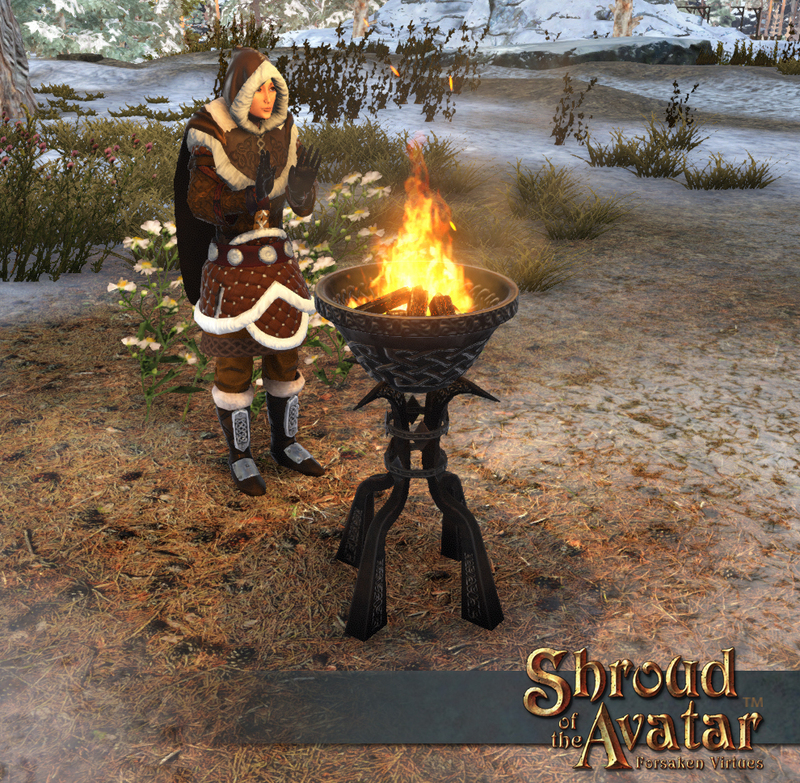 Viking Brazier: This viking styled light source can be found in our Add-On Store. Magic Standing Stones: This set of moss covered standing stones are just what you need to give your property the air of ancient ritual. 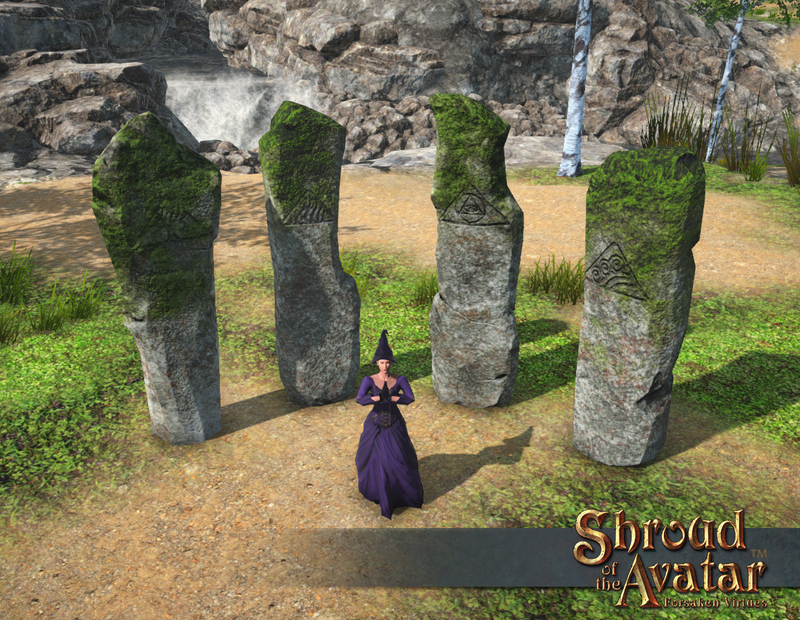 These four stones can be found in our Add-On Store. There will be a couple of standing stones that will be craftable in-game in a future release. R55 Lot Deed Raffle Winners: Tickets for the R55 Raffle were sold during R54, the winners of the raffle will be announced the day after R55 goes live. Deeds will be delivered shortly after that. R56 Lot Deed Raffle Tickets: R56 raffle tickets can be purchased during R55 with in game gold from home merchants. Each person can only win a single deed of each type (maximum of one place anywhere and one POT). The drawing will occur and winners will be announced in R56. POT Merchant Names Fix: We fixed an issue where customized names on POT merchants were not showing above their heads. Beran’s Reach: Upgraded to Municipality. Britt Mart: Added interconnection with Immortal City. Caer Dracwych: Upgraded to Village. 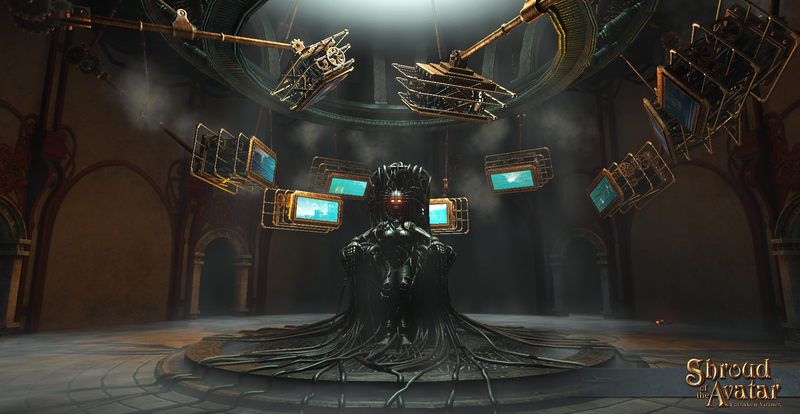 Constitutio Chaos: Added interconnection with Organized Chaos Sanctum. Crafters Town: Added interconnection with Immortal City. Darkshire Hills: Upgraded to Municipality. Dawn’s Keep: Upgraded to Municipality. Falling Waters Fortress: Upgraded to Municipality. Flowing Waters Forest: Upgraded to Municipality. Granite Gardens: Upgraded to Municipality. 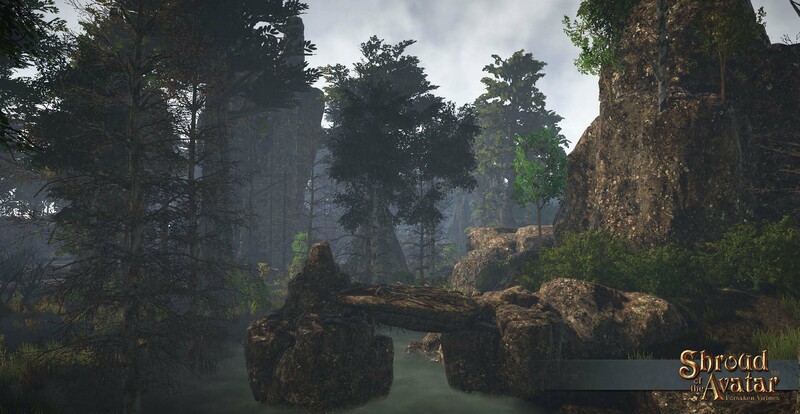 Islet of Long: New holdfast added to Novia. Knight’s Watch: Upgraded to Municipality. New Britannian Market: Upgraded to Municipality. Ordinis Mortis: Added interconnection with Immortal City. Organized Chaos Sanctum: Renamed. Upgraded to Municipality. Changed location. Added interconnections. 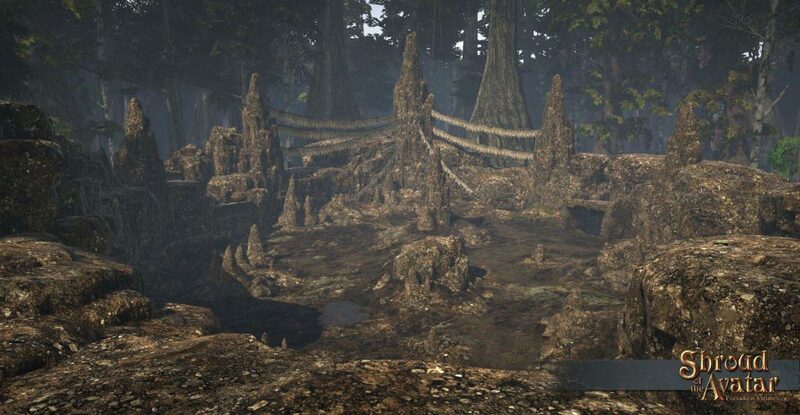 Port Lihan: Changed biome to Forest 01a. 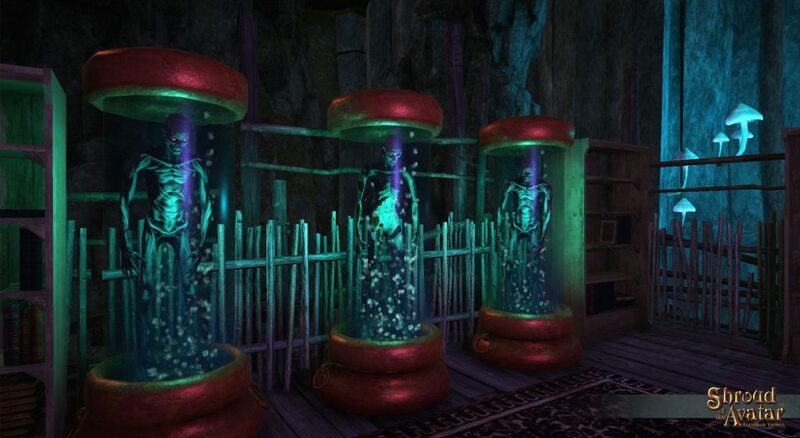 Sea Bear’s Black Market: New hamlet added to Novia. Silverdale Market: Added interconnection with Immortal City. Thapae Mizellmist: Upgraded to Hamlet. Verat Chaos: Added interconnection with Organized Chaos Sanctum. Healing Spell Balance: We increased the effectiveness of the base heal spell by 3 points. This will dramatically improve low level heals but won’t scale up and unbalance high level healers. Group PvP Flagging: All players in a party will be the same PvP flag. When a group is formed the party leader’s flag determines the PVP setting and anyone who joins afterwards is flagged accordingly. Changing leaders after party formation will not change the flag. No more clicking through dialogs and flagging to cast a heal on a party member! No more bugs with casting a healing spell on the wrong party member due to flagging! 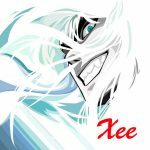 Temporary PvP Flagging: Players will still be able to temporarily flag PvP or non-PvP but it will always come with a 30 second stun period and will be obvious when it is happening. Players can no longer instantly flag as PvP in order to deliver aN attack! Permanent Flagging: The only way players will be able to permanently flag and unflag will be to talk to the Oracle (or an Oracle head statue). Unicorn Potions: If you are willing to sacrifice your virtue enough to harvest the blood of unicorns you can make two new potions. One is very strong healing potion that also has a purify effect and another is a poison that cancels magic buffs. Mage Skeleton Summons: These should now have a small fire DOT that is applied by their Fire Bolt spell. Counters for Slow Effects: Knight’s Grace, Escape, and Berserker Stance will now remove one or more slow effects when activated. Counters for Bleed Effects: Physical damage over time effects, such as Rend and Skewer, will now be removed by Healing Grace, Knight’s Grace, and Passive Stance. These will remove a single bleed effect per execution. Meteor Shower: Meteor shower had a bug that was making it trigger every tick and sometimes twice a tick. This was not intended and was making it do more than 5x expected damage. It has been adjusted to be comparable in damage to Ring of Fire. Since lunar magic had become an overnight sensation due to this single bug, all lunar magic has been added to the 100% return on unlearn list. Ice Field: This spell was using the wrong attunement math for calculation of the duration of the slow once leaving the ice field. This was making it so the higher the target’s resistance, the longer they would be impacted by the slow! Ice field has been added to the 100% return on unlearn list. Capped Draw and Discard Speeds: Previously, by combining multiple effects, such as Flurry and Chaotic Feedback, it was possible to reduce draw and discard times to below zero. This would cause Chaotic Feedback to immediately enter into a sudden death loop of drawing and discarding! This has been fixed and the minimum time for a draw is now set at 0.333 seconds. The minimum time for an automatic discard is 3 seconds. Negative Attunement: The curve for negative attunement has been adjusted slightly. If a caster is between 0 and 150 great attunement than the target, damage will be slightly higher. For those with more than 150 more attunement than their target, the damage will taper off slightly faster. Fall Damage: Has been decreased. The damage reduction is roughly 33% overall but will be most noticeable at low levels. Focus Regen: Combat focus regen rates have been increased by 1 focus per second. While this won’t be a dramatic for experienced adventurers who are wisely using food, this will be a huge help to brand new players. Purify Burst Fix: Fixed issue where this Life magic spell was not getting fizzle reduction from equipment. Banish Undead Fix: We fixed an issue where Banish Undead would sometimes draw aggro on non-undead creatures. 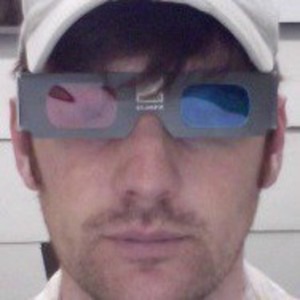 Gust Fix: Fixed a bug that was allowing Gust to be cast from extremely long range. Since this could be perceived as a “nerf,” it has been added to the 100% experience return on unlearn list. Shield Buffs Fix: Fixed a bug where shield buffs would stay active even if you swapped decks and no longer had a shield equipped. Shadowform Fix: Fixed an issue where stealth was not expiring properly with the Moon magic spell Shadowform. Fortify Defenses Fix: Fixed an issue where this skill was not granting a critical protection bonus. Spellbinder’s Stance Fixes: Fixed an issue where this magic skill was not giving an increasing spell critical chance over time. Also, fixed a bug where this skill was not granting combat focus regen. Ring of the Frogkin: Fixed the jump bonus. Root Fix: Fixed an issue where the Root visual effects and icon would not be removed when viewed from another player’s client when that affected player removed the effect by jumping out. Blessing of the Sun Fix: This buff can now be dismissed. Ring of Fire VFX Fix: We fixed several issues with the visual effects for Ring of Fire. Chest Open/Close SFX: We replaced the sound effects for opening and closing chests. Inventory/Loot SFX: We created a suite of new sound effects for opening your inventory and other “loot bags.” These play randomly from an assorted list each time you open the inventory, loot, etc. Thank you so much for reading all the way here to the end! 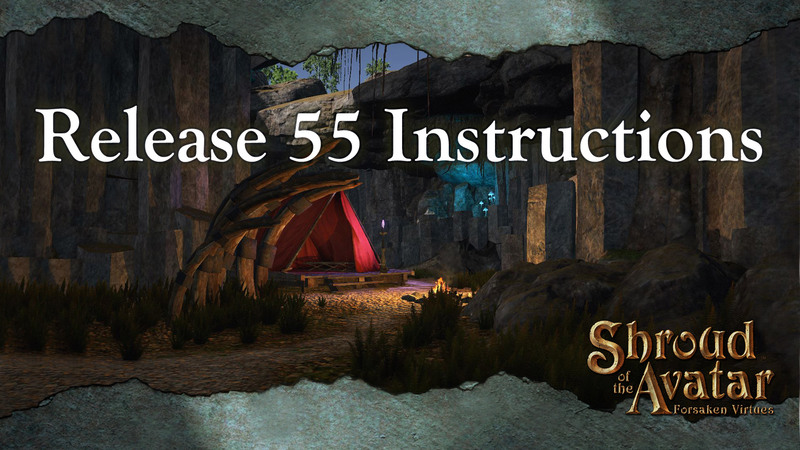 Release 55 should be a lot of fun, and will bring more players into the exciting realm of land ownership in Shroud of the Avatar. Q3 also has tons in store, including the Obsidian Trial, Castle Defense Scenarios, lots of bug fixes and system polish, user interface polish, more artifacts, and more! Stay tuned for more details about Q3 this week. So excited for R55. Brewing looks exciting, Unicorns popping up in my favourite locations RANDOMS!! YaY!! However.. were you serious about only dropping row lot deed taxes? Perhaps the impression was originally received wrong from a lot of us but we were under the impression this would be a global for all lot deeds. 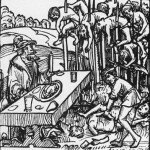 It is great that row deeds are going to be easier for all to obtain, however it is going to turn all towns into row towns. 250 gold to 1k gold is quite the jump. Will the other deeds also get this tax break? Totally agree with Amber about lot taxes! If the lot taxes were initially put in as a gold sink for the economy, it is a broken philosophy as the wealthiest players still own larger deeds while casual players (a few hours a week) are getting blocked. Please reconsider this philosophy. Time to get our brewing on! Now prohibition is over, I am very excited to see the mass proliferation and sale of alcoholic beverages. Do we have the special brewing recipe for the edelmann pledge (or higher) as promised ? Yes, please read the post. I’m sure it will be fixed in short order. Every cooking merchant is supposed to have the recipes? The one in Solania does not.